In April the ground begins to thaw and spring flowers start blooming, and with this newness all around, we always start thinking about our next trip. With the one exception of Southeast Asia, where April is the hottest time of year, it is a desirable month to travel to many places. April is the shoulder season for many travel destinations around the world, meaning that it is that sweet spot where you will find both fewer tourists than summer and great weather. From towns, cities and national parks in the United States to the Mediterranean, Europe, and South America and everything in between, we've highlighted some of the top destinations around the world to visit in April. 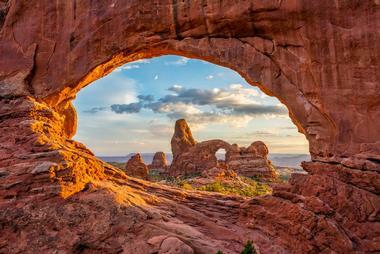 Arches National Park is a veritable wonderland of contrasting colors, unique rock formations, and textures that you can't see anywhere else in the world. There are more than 2,000 natural stone arches found in the park as well as several hundred other interesting rock formations and giant balanced rocks. You will be amazed at every turn and it's virtually impossible to see everything. The park is open all year round, and April begins the busy season as daytime highs are typically comfortable and temperature fluctuations overall aren't likely to be unbearable. It can still get quite cold at night, though, so pack accordingly. 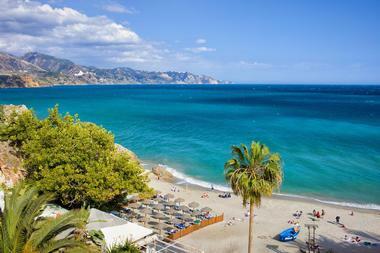 The Costa del Sol is a region in Andalusia in southern Spain. In what was once a string of quiet fishing villages along the coast, there now exists a world-famous tourist destination. A number of towns are included in the Costa del Sol, including the city of Malaga, San Pedro de Alcantera, Caseres, Rincon de la Victoria, and several others. The area is popular among golfers, and you will find a number of golf courses and even vacation packages geared completely around golfing resorts. April is a great time to visit if you have golfing on your mind, or anything really. The summers can be scorching and the winters can be somewhat cold. However, the area is sunny virtually year round, so you'll have a beautiful time no matter when you decide to go. 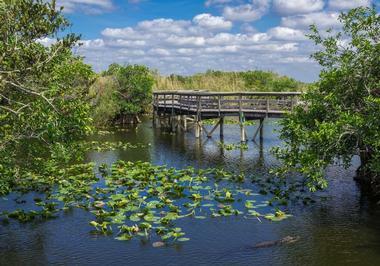 Everglades National Park is a 1.5-million-acre park that preserves southern Florida's wetlands. The Everglades area contains sawgrass marshes, coastal mangroves, and flatwoods habitats and is home a large variety of wildlife. Some rare and endangered species call the preserve home, including the American crocodile, the manatee, and the rarely spotted Florida panther. Popular activities include walking the Anhinga Trail, climbing the Shark Valley observation tower, and taking boat or kayak tours. The busiest time of year to visit the park is spring, but that is because temperatures are so favorable, especially compared to the rest of the country. A visit in April may mean the park is busy, but the weather should be perfect. Grand Canyon National Park is home to its namesake, the Grand Canyon, which is famous for its impressive vistas and beautiful layered bands of red-hued rock. 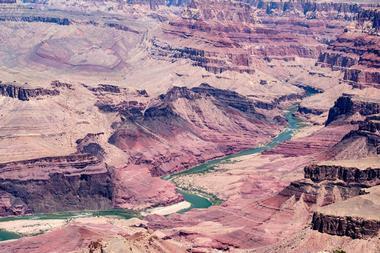 Visitors may view the canyon from a number of viewpoints around the rim. Additionally, hiking and donkey tours down to the canyon floor are popular, as is paddling the river through the canyon. If you visit in April, the South Rim will be open, however the North Rim is closed for the winter until the middle of May. Hikers and skiers with backcountry permits may still enter this time of year, but all roads on the North Rim are closed. You will find the daytime temperatures to be nice and cool and the crowds to be thinner than in the summer. Martha's Vineyard is an island in Massachusetts located in the Atlantic Ocean just south of Cape Code. The island is a long running and well-known summer destination for New Englanders. 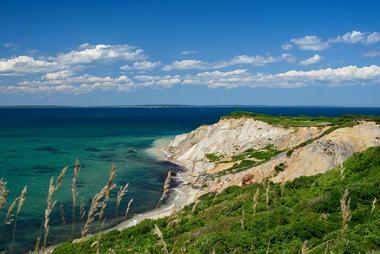 The landscape is filled with cute harbor towns, old lighthouses, farmland, and sandy beaches. There are no roads from the mainland to Martha's Vineyard, and it's only reachable by air or sea. The island is most popular between Memorial Day and Labor Day when a steady stream of tourists is coming and going all the time, especially on weekends. However, April can be a great time to visit as many attractions and businesses are already open, the weather is nice, wildflowers are in bloom, and it's easier to find deals on accommodations and goods. 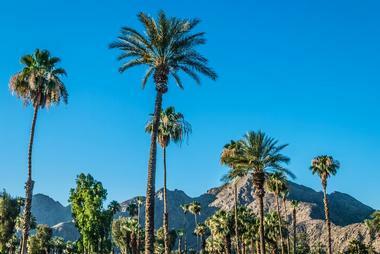 Palm Springs is a city in Southern California's Sonora Desert and is known as a destination for hot springs, classy hotels, golf courses, and luxury spas. The area also has a number of noteworthy examples of midcentury modern architecture. Those who love to shop will particularly enjoy the shopping district, where vintage boutiques, tasty eateries, and home decor shops all flank Palm Canyon Drive. 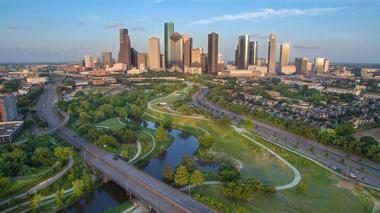 Adventurous travelers will appreciate the hiking, biking, and horseback riding available in the surrounding area. April falls in the most comfortable time to visit as the temperatures are not yet at the sweltering highs they will reach in the summer time. However, be aware that this is also the time that the hotels and attractions will be the most crowded. 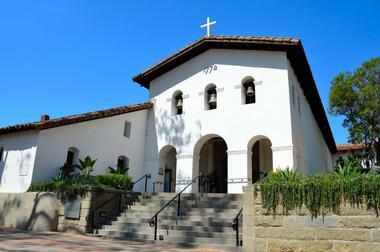 San Luis Obispo is a city on the central coast of California. The city has a rich cultural heritage due to historically being the home to an important 1700s Spanish mission, and before that having a long history of Native American settlement. Travelers flock to Bubblegum Alley to see a quirky attraction where the walls of an alley are completely covered with bubblegum. The city has a particularly nice farmers market on the weekend as well as museums, quality dining, and other attractions. The weather is nearly always perfect in San Luis Obispo and stays mild year round. April is certainly a great time to visit. 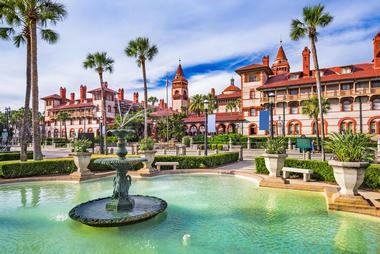 The city of St. Augustine sits on the Atlantic Ocean on the northeastern coast of Florida. Largely known for its beaches, tourists come here year after year to enjoy St. Augustine Beach and quieter Crescent Beach. Other attractions include Anastasia State Park, the Lightner Museum, and a 17th century fortress known as Castillo de San Marcos. 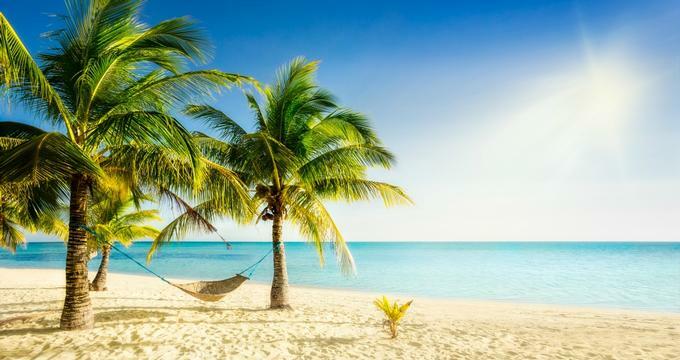 The crowds flock to the beaches in the summertime, so if you can visit in the shoulder season, you will have a quieter time and be able to find a cheaper hotel. Hurricane season is in the fall, so spring is the perfect time to get great weather and fewer people competing for beach space. Holland is a region of The Netherlands but it is so tightly associated with the country that many think they are synonymous. Holland is characterized by a flat landscape and beautiful scenery that is ideal for walking and bike tours. Plant and animal life is abundant and beautiful, especially in spring. Destinations like the Oostvaarders Plassen or the Hoge Veluwe offer great opportunities to enjoy nature. However, if you are heading to Holland in April, we know what you are really after is tulip season. 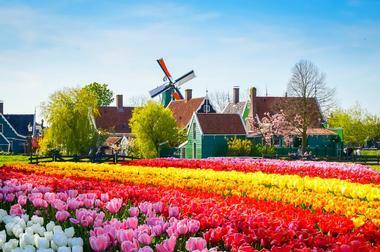 Mid-April is the best time of year to see the Holland's famous flower at its best. Millions of tulips will be in bloom and one of the best places to see them is at the Keukenhof in Lisse. 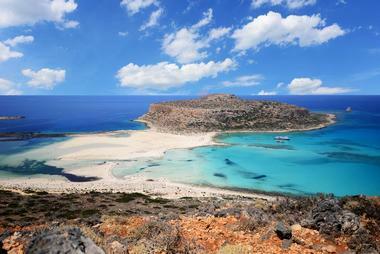 Crete is the largest of the Greek islands and is located in the Mediterranean Sea south of the Peloponnese. The island is immensely beautiful, with both stunning beaches and gorgeous land features. The island's residents are known for their warmth and hospitality, and the island has a well-developed tourist infrastructure, making it fairly easy to get around and find accommodations. Malia is the island's party capital, so head there if you are looking for nightlife. On the other hand, if you prefer a quieter destination, check out Chersonissos. 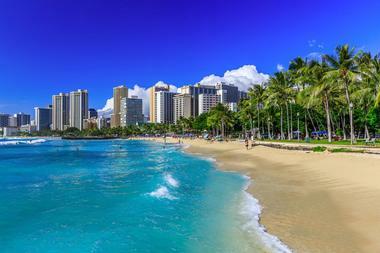 April to October is the traditional tourist season, but being there early in the season (i.e. April) will mean you avoid some of the summer crowds and are able to enjoy some beautiful weather. Berlin is the capital city of Germany and the country's largest city. 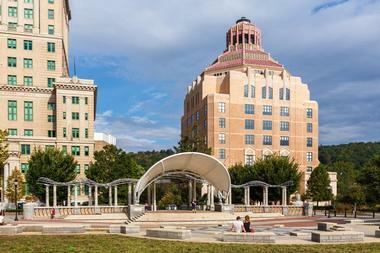 The city is best known for its historical significance, lively nightlife, and numerous museums. Even though Berlin was badly damaged during World War II and was divided during the Cold War, the city still has a number of interesting examples of historic architecture dating from several different historic periods. 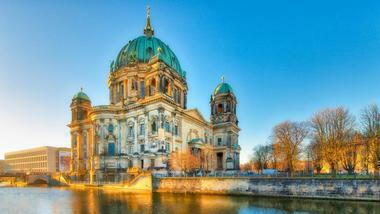 Some of the most popular attractions include the Museumsinsel, the Berliner Dom, the Berlin Zoo, and the Tiergarten. Summer is the most popular time to come, and winter is very cold so it should be avoided. Visiting in April will mean you are coming in the shoulder season, which can be good if you are looking for a sweet spot between cheaper hotels and decent weather. 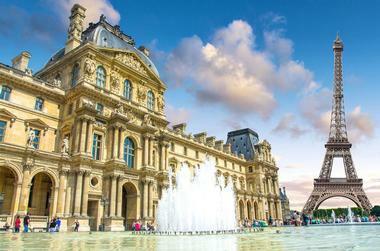 Paris is France's largest city and the country's capital, and it is a significant international city and a global center for culture, fashion, food, and art. The Eiffel Tower is easily the city's most recognizable landmark, while other popular attractions include the Arc de Triomphe, the Louvre, and Notre-Dame de Paris. If you love shopping, Paris will be like heaven for you. Get started at the many designer boutiques along the Rue du Faubourg Saint-Honore. Summer is the most popular time to visit and it's easy to see why: The weather is absolutely perfect. However, if you come in April, you'll likely save a bit of money on hotels and will be able to enjoy the city's beautiful spring blooms. Venice is a city in the northeastern part of Italy with a wonderful historic charm and it remains virtually unchanged from what you would have seen 600 years ago. Even so, tourists have had quite a huge negative impact on the city as there is a disproportionate number of tourists to locals. The most famous area is the section of town with 118 islands, called "Sestieri." 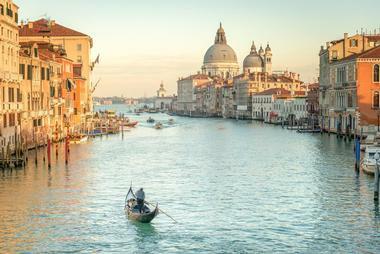 The city is easily walkable and there are very few cars (and roads for that matter) in Venice. Fans of historic architecture will love exploring Venice's treasures, whereas museum lovers will be more than happy with the large number of world-class museums found in the city. The other attractions are too numerous to list. Spring is the most beautiful time to visit Venice as the weather is typically perfect and the temperatures are fairly mild. The Lake District is a mountainous area in northwestern England. Also known by locals as just The Lakes, the area is a popular holiday destination for locals and tourists alike. The landscape is dotted with mountains, forests and, you guessed it, lakes. The district is protected as a national park and is also a UNESCO World Heritage Site. The park contains all of the mountains in England that reach over 3,000 feet, including the country's highest peak, Scafell Pike. 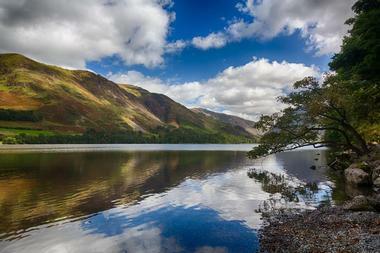 On the other end of the spectrum, the area also contains the deepest and longest lakes in England. The lakes are beautiful virtually anytime of year; however, April starts the peak tourist season, which runs through October. The weather is just starting to warm up and you will see daffodils scattered throughout the landscape. 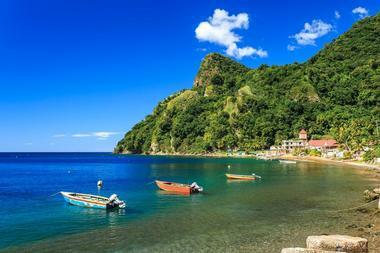 Dominica is a mountainous island in the Caribbean known for its rainforests, hot springs, and colorful capital. Much of the landscape is natural and is characterized by lush flora and varied wildlife. One of the highlights of a visit to Dominica is More Trois National Park, which is a UNESCO World Heritage Site. The park has a number of impressive attractions including Middleham Falls and Boiling Lake, which is a lake that is heated by volcanic activity and actually boils. Reaching it is a difficult and long hike, so a guide is recommended. If you plan a trip here in April, the high season will just be winding up. The weather is warm and dry and the crowds shouldn't be too bad, making for a great experience. Havana is the capital city of Cuba. It features Spanish colonial architecture in its 16th century old town, which includes a maritime museum, a fort called the Castillo de la Real Fuerza, and the baroque-style Cathedral de San Cristóbal. Prior to the communist revolution in Cuba, Havana was a popular vacation hotspot, bringing many tourists all year round. 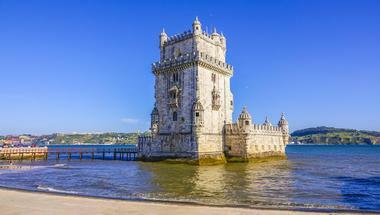 In recent years, the country has opened to tourists again and more and more people are visiting. 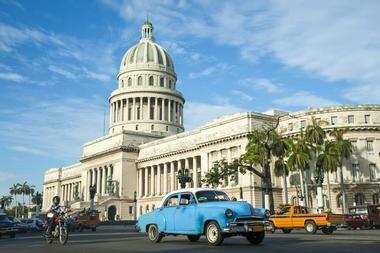 The Capitol Building and the Museum of the Revolution are popular attractions, as are tours of local cigar and rum factories. Walking along the Malecón, which is the name of the seawall that runs along the coast, is also a popular pastime for both visitors and locals. Monteverde is a mountain town in northwestern Costa Rica. It is known for its cloud forests, including the Monteverde Cloud Forest Reserve, where you can hike and enjoy nature as well as keep an eye out for rare wildlife such as jaguars, ocelots, and the beautiful quetzal. In the reserve you can hike trails both through the jungle and above the tree canopy. 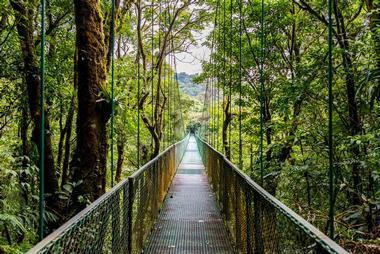 While the cloud forests are the main attraction in Monteverde, there are several other nature-related attractions in and around the city. Zoological attractions, such as the Serpentario de Monteverde, the Monteverde Theme Park, and Selvatura Park, are popular as are adventure attractions like ziplines, suspension bridges, horseback riding, and more. Visiting Costa Rica in April means that you will be there in the dry season when the weather is at its best, however prices may be a bit higher as it's a popular time to go. 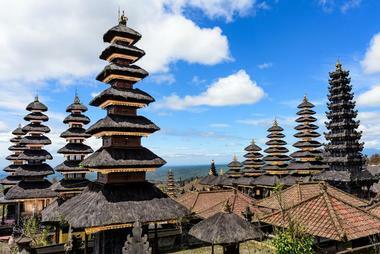 Bali is a beautiful tropical island in Indonesia famous for its party scene, gorgeous scenery, and yoga retreats. Known famously as the Island of the Gods, the island is absolutely beautiful, with volcanic mountains, sandy beaches, mountains, rocky coastlines, lush rice terraces, and much more. The culture is interesting, colorful, and very spiritual, drawing many tourists who come for a deeper, more transformative type of travel in a veritable paradise. Bali is always beautiful and the weather is mild virtually all year round. April visitors will find the best surfing of the year, so if you come to surf, planning your trip in April is ideal. 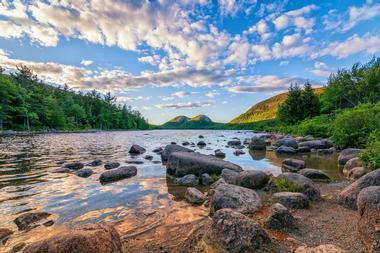 Acadia National Park preserves and protects the rocky headlands along Maine's Atlantic coast. The park features a number of habitats and much biodiversity as well as cultural sites that are representative of the region's rich heritage. There are seven mountain peaks that reach over 1,000 feet, more than 120 miles of hiking trails, four lighthouses, numerous stone bridges, carriage roads, and more in the park. April falls in the park's shoulder season and spring weather can mean that the ground will be soggy and fog is common, but the snow will have melted and you won't yet have to fight the summer crowds. So, if you prefer to visit when the crowds are thin and don't mind a bit of mud and cool temperatures, a visit in the spring can be quite nice. 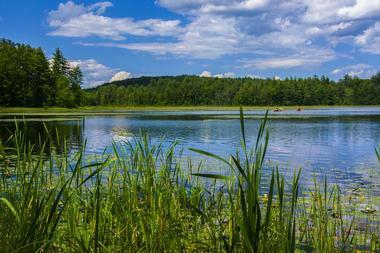 New Hampshire is a small state known for its beautiful wilderness and quaint small towns. Visitors who wish to get out into nature should check out the White Mountain National Forest, Flume Gorge, Lake Winnipesaukee, and Canobie Lake Park, among others. Family travelers will appreciate attractions such as Story Land, Santa's Village, and the Squad Lakes Natural Science Center. The area is known as a haven for winter sports, but there's certainly plenty to do in springtime. Visitors who come in April will get to see how tree sap is transformed into maple syrup as well as enjoy the many wildflowers that spring up at this time of year. 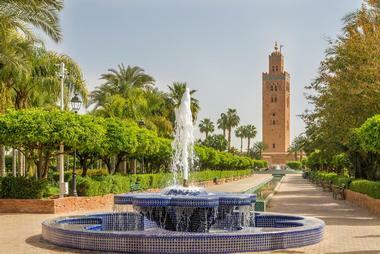 Marrakech was once an impressive Imperial city in Western Morocco and today is an important economic hub and popular tourist attraction. The medina is the name of the densely packed city center that is contained within medieval walls. This part of town dates to the Berber empire and features winding alleys and marketplaces selling traditional goods and jewelry. There are a number of mosques, with the most prominent being the Koutoubia Mosque, which you can see from miles away. March and April are the best times of year to visit the city. It is considered the shoulder season when the weather is milder and the hotel rates are relatively low.